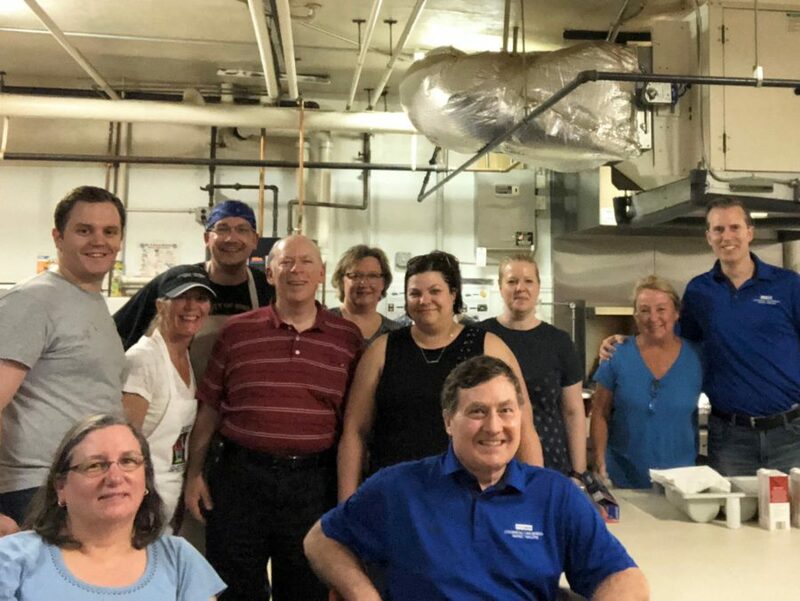 On May 17, 2018, attorneys and staff from Cousineau, Van Bergen, McNee and Malone prepared and served a meal for guests at the Simpson Shelter in Minneapolis. 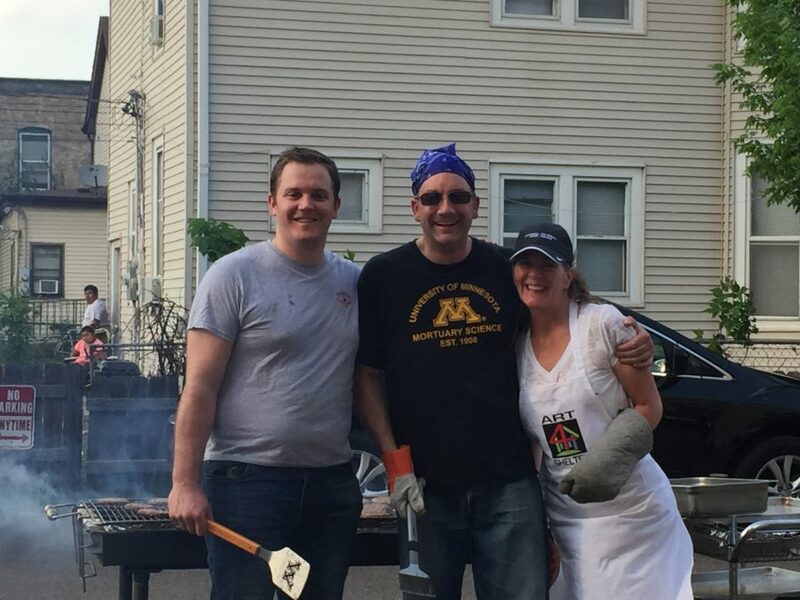 We had a large grill in the parking lot where 120 hamburgers and brats were grilled! Along with the burgers and brats, we served toppings for the meats, a vegetable/pasta salad, baked beans, chips, milk and lemonade along with a variety of ice cream treats for dessert. Bags of trail mix were assembled and provided at the end of the meal. Attorneys and staff made personal donations of bags of towels, washcloths, blankets, and travel size toiletries to aid the shelter in its services. 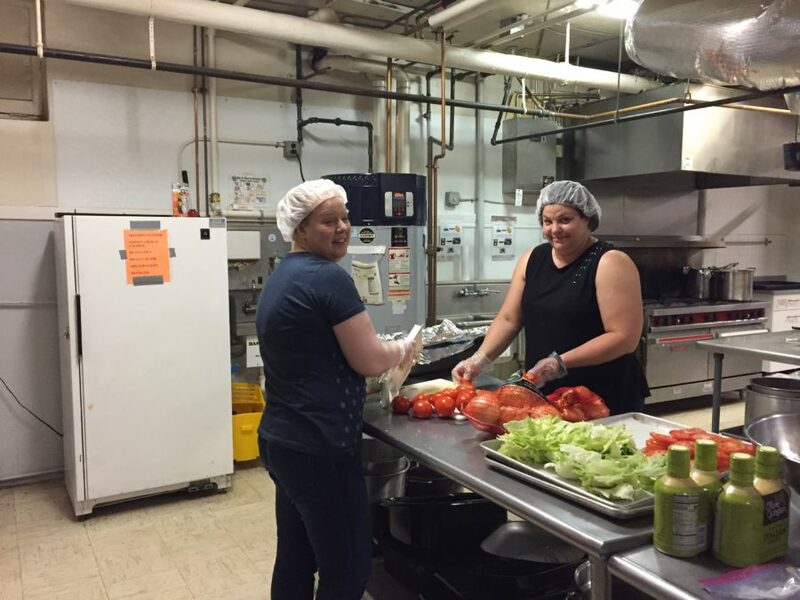 Simpson Shelter has shelter space for 22 women and 44 men, and provides stability and shelter in increments of 30 days to help homeless men and women work towards obtaining stable and sustainable affordable housing options. Additional information about Simpson Shelter, donation needs and/or volunteer opportunities can be found on their website www.simpsonhousing.org.